1965 – On 26th of March, 1965 Betty rolled out of the VW showroom at Bletchley, Milton Keynes with a Mr Leslie Peerless behind the wheel. Betty would remain with the Peerless family for 33 years. No doubt, the Van had a special role in creating many magic holiday memories for this family. 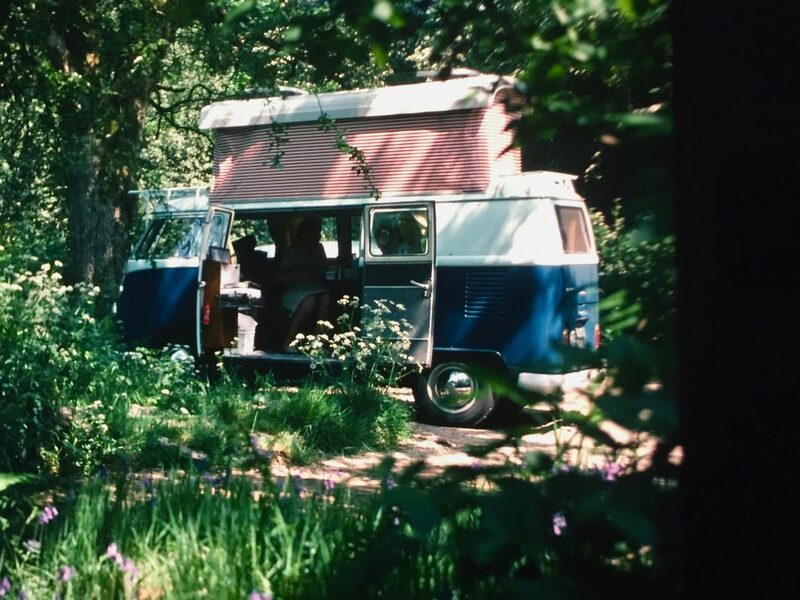 Originally, Betty was an 11 Window Combi van in Sea Blue with a White top. 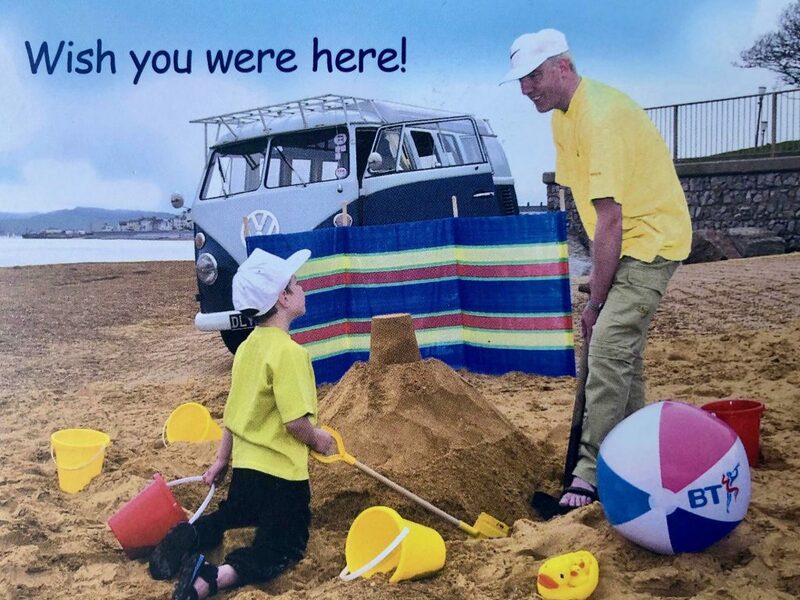 After being converted by Canterbury Ltd of Essex into the Pitt Open Plan Camper Van, Betty transformed in to the quintessential holiday vehicle, taking the Peerless family to Spain every year for a few weeks of fun and sunshine. Each year, Betty would make the trip with the entire family, their luggage and a speedboat in tow. 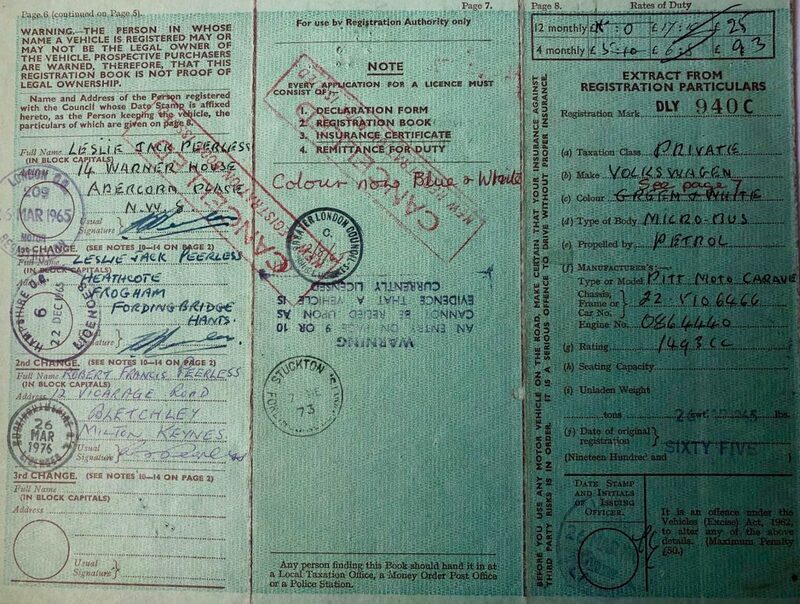 1971 – At around 70,000 miles, the original 1965 1500cc single port engine dropped a valve,so under a warranty brand new genuine VW engine was fitted, which is the same engine ‘Betty’ runs today. 1999 – After being passed down through two generations of the Peerless family, the Van was sold to a young couple in Totnes. It was then sold again a year later, to Paul Burbery of Exmouth for the sum of £4500. Upon purchasing the Van Paul christened the Van ‘Dilly’. And so, ‘Dilly’ began her second stretch as a much loved family holiday van. 2000 – Thanks to the love and care of ‘Dilly’s’ previous owners, the van had retained much of its original furniture and bodywork. At 35 years old, however, ‘Dilly’ was beginning to show her age. ‘Dilly’ kicked off the new millennium with a mini makeover, being stripped back to bare metal and re-sprayed black and white as she appears today. ‘Dilly’ was given a few extra nip and tucks – Creative Engineering safari windows, polished alloy pop windows, chrome cab door tops, 12 Volt conversion (to name a few) – to complete her new look. ‘Dilly’ went on to win many prizes at local classic car shows and continued to be enjoyed by the Burbery family during their annual holidays and jaunts down to Exmouth seafront. 2009 – In 2009, ‘Dilly’ was given a complete overhaul. This time around, the vehicle was fully restored, inside and out, to superb condition. When back on the road, ‘Dilly’ began a new chapter in her life. 2010 – In 2010, the van was purchased by its current owners, who decided to mark the occasion by rechristening the van ‘Betty’.Since owning Betty the new owners continue to service,maintain and up grade her to a very high standard .in order to provide a first class service as a wedding transport and special occasion vehicle . 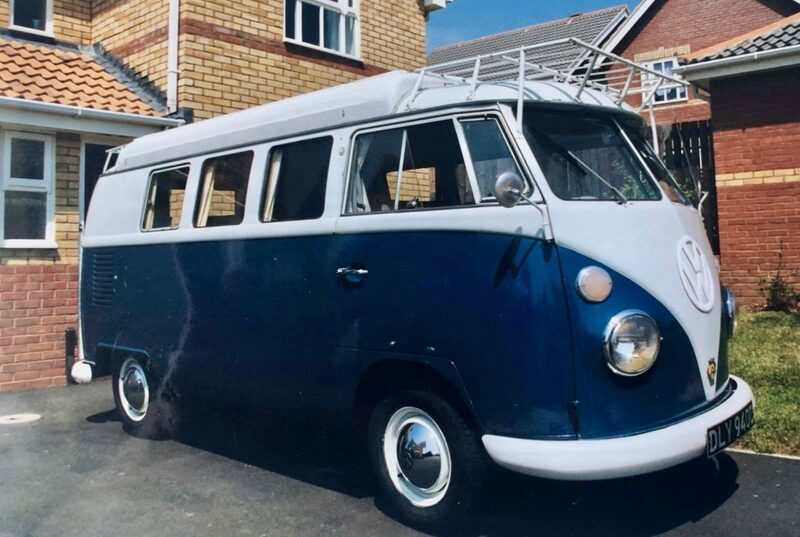 The current owner has fond memories from his youth of surfing trips through out Europe in a VW Splitscreen Devon Conversion campervan. A van very much like ‘Betty’ had long been on his radar. When ‘Betty’ came up for sale, it was love at first sight…. And the rest, as they say…. Is history.